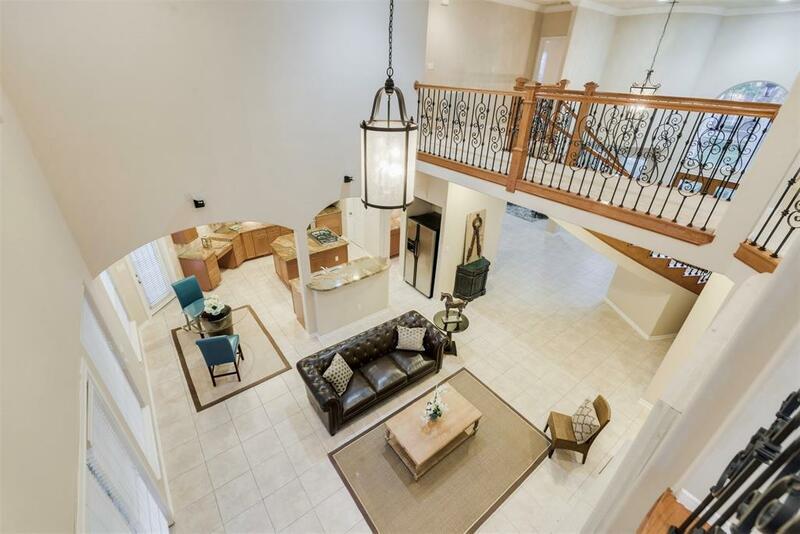 Fabulous home with WHITE BRICK EXTERIOR has so many CUSTOM FINISHES including FOUNDATION WITH REINFORCED PIERS, high end WOOD CABINETRY in kitchen and baths; GRANITE COUNTERS in kitchen and baths , STAINLESS STEEL APPLIANCES and STUNNING WROUGHT IRON STAIRS. 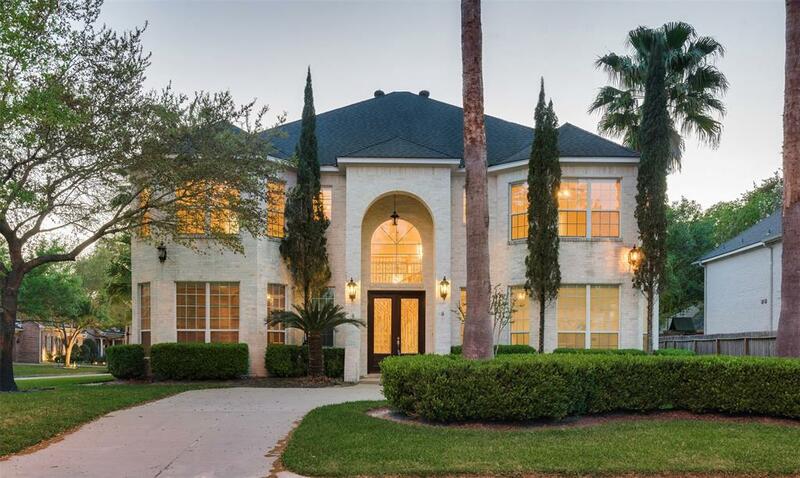 The majestic entry is flanked by MATURE CYPRESS TREES on either side of the DOUBLE DOOR ENTRY, and the CIRCULAR DRIVEWAY offers plenty of extra parking. 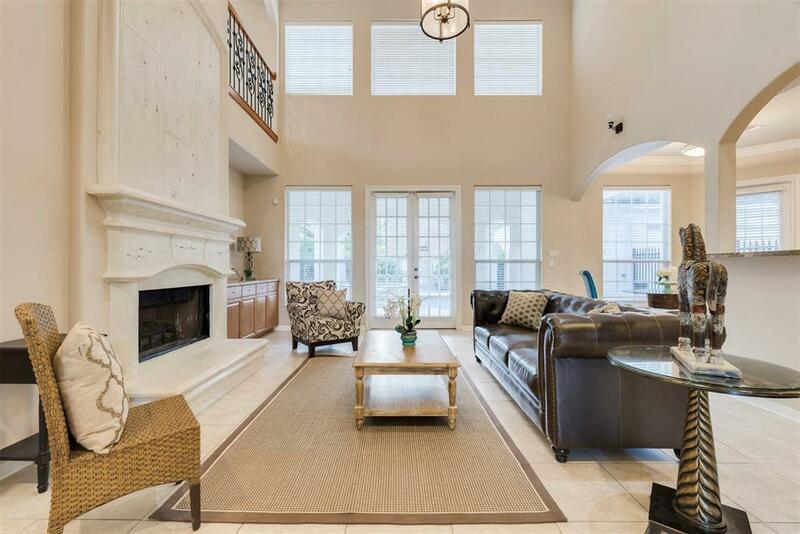 Gorgeous TRAVERTINE LIKE TILE FLOORS flow throughout the downstairs, where the OPEN FLOOR PLAN is ideal for today's lifestyle. TWO STORY CEILINGS with large windows in the living room offer spectacular views of the PRIVATE POOL with WATERFALL FEATURE and mature palm trees. A spacious downstairs master bedroom with en suite bathroom has large walk in closet with built in shelves. A private study an also be found downstairs, while the upstairs offers a large game room with built in entertainments center, 3 spacious bedrooms and 2 bathrooms. Built in 2003 with double pane windows.